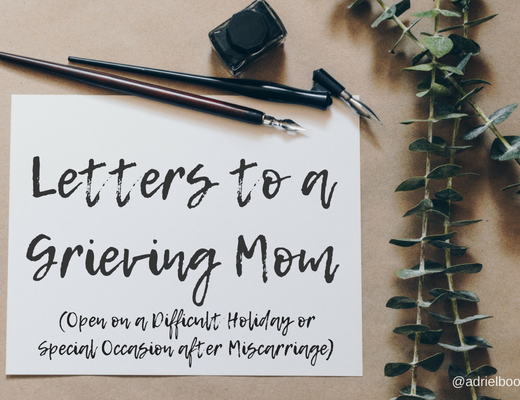 As I was thinking about how precious those journal entries and letters are to me even now five years and two subsequent miscarriages later, I realized how healing it was for me to capture my grieving process in words, and how those same words continue to heal me still. 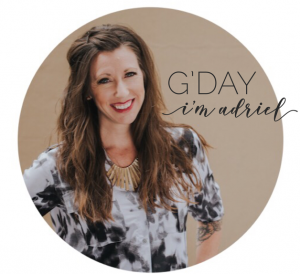 That’s when I decided I’d like to help you journal your grief too. We all know the power of story. Your favorite movie or novel or TED talk is likely your favorite because the story you entered into changed you somehow. 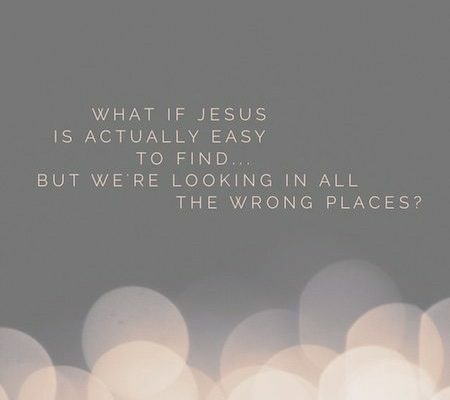 No doubt you’ve been impacted by the stories of others— fictional or real—but have you spent much time considering the power of your own story? 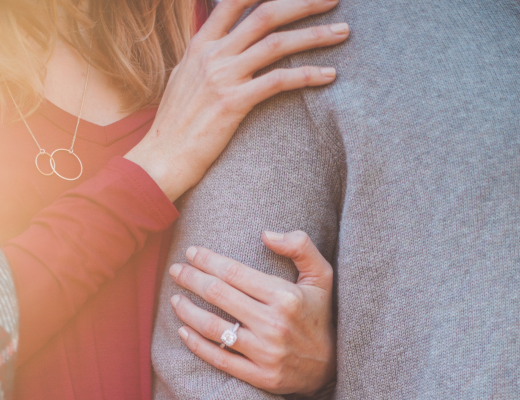 Grief experts widely agree that the practice of journaling through your grief is a healthy way to connect with and process your pain and loss. I am not a grief expert, but I am a journaler and have found this to be true. 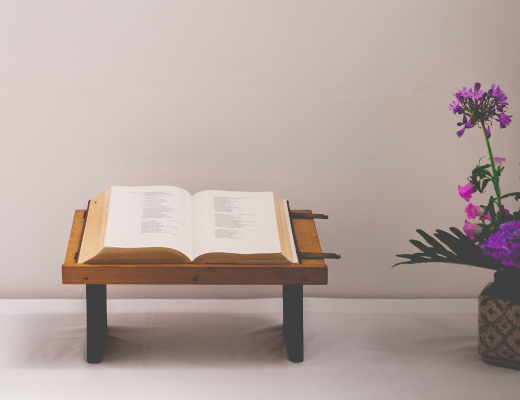 Along with my personal faith and caring support network, journaling has been the single most important tool I’ve had while learning to walk through my grief. While journaling and writing and storytelling come naturally to some, others may not know how to begin. 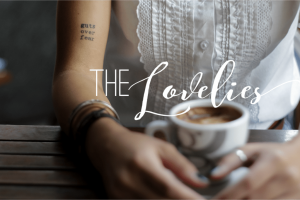 My hope is that the prompts in this journal will help you connect with your grief and write your own story, and that by doing so you will discover healing grace released over your broken heart. 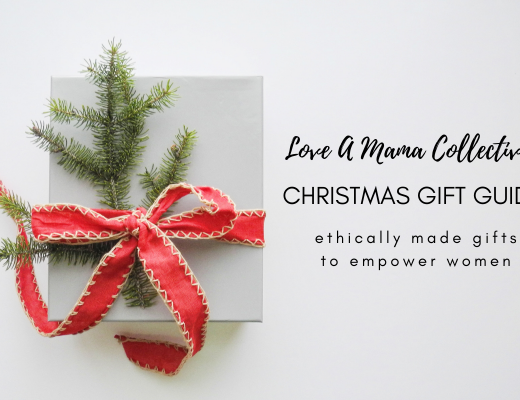 This journal itself won’t heal you—my belief is that God heals our hearts—but it will help you on your healing journey. I’m certain of that. 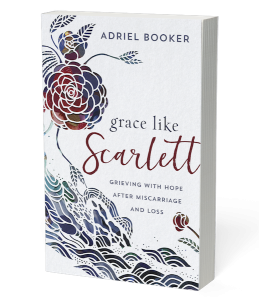 When you preorder a copy of my new book, Grace Like Scarlett: Grieving with Hope after Miscarriage and Loss, you’ll get a copy of Journaling Our Scarlett Stories absolutely FREE. 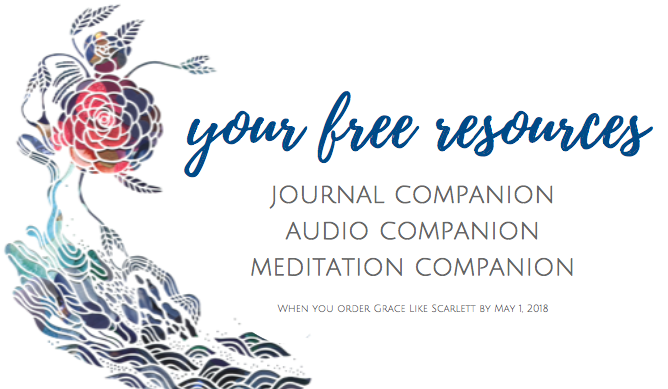 (You’ll also get an audio companion and devotional companion for free!) 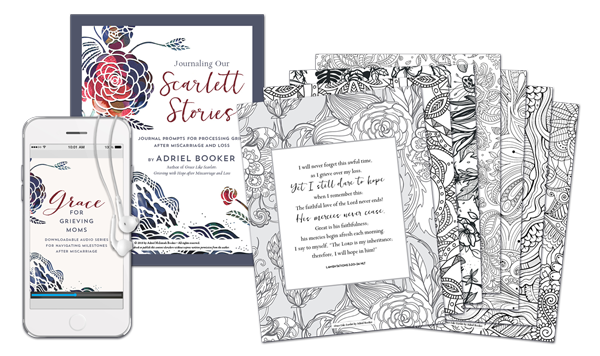 To find out more or request your free copy of Journaling Our Scarlett Stories, please visit my book website. To redeem your bonuses, please click here. 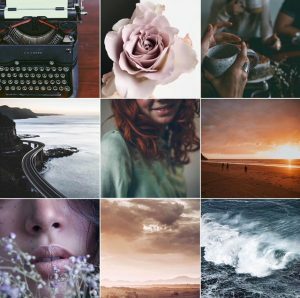 @OurScarlettStories is an instagram community for sharing stories of grief and hope and the grace holding us together. 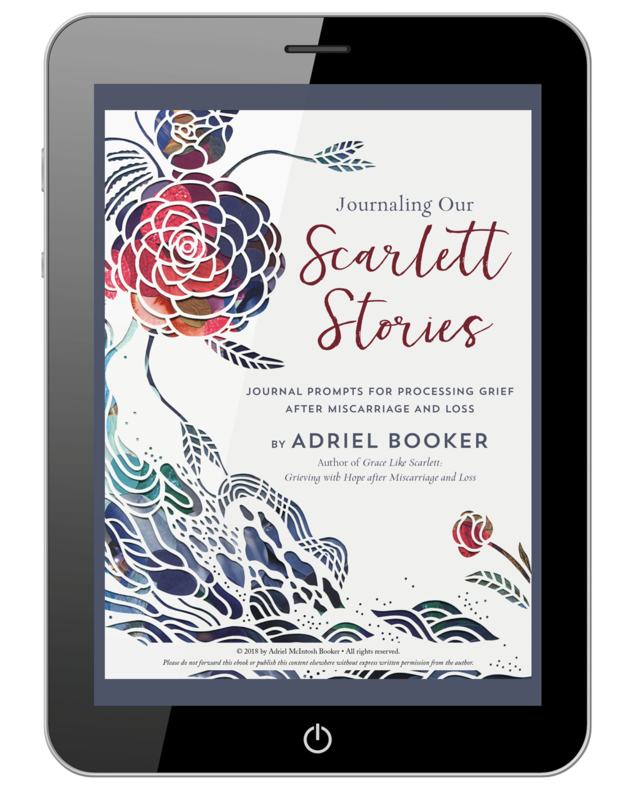 If you’d like your pregnancy loss story featured on Our Scarlett Stories, please email it to us (hello @ adrielbooker . com) with the subject line “Our Scarlett Stories feature” and include your instagram handle so we can credit you. 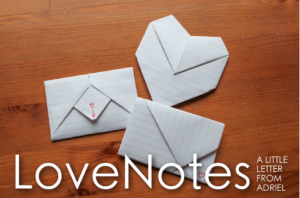 (Or let us know if you’d prefer your story be posted anonymously.) 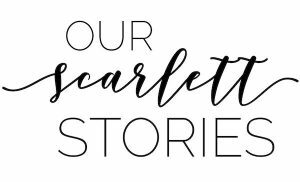 You can also share your story directly on instagram if you prefer (tag @ourscarlettstories in your post and use the hashtag #ourscarlettstories so we can find you).